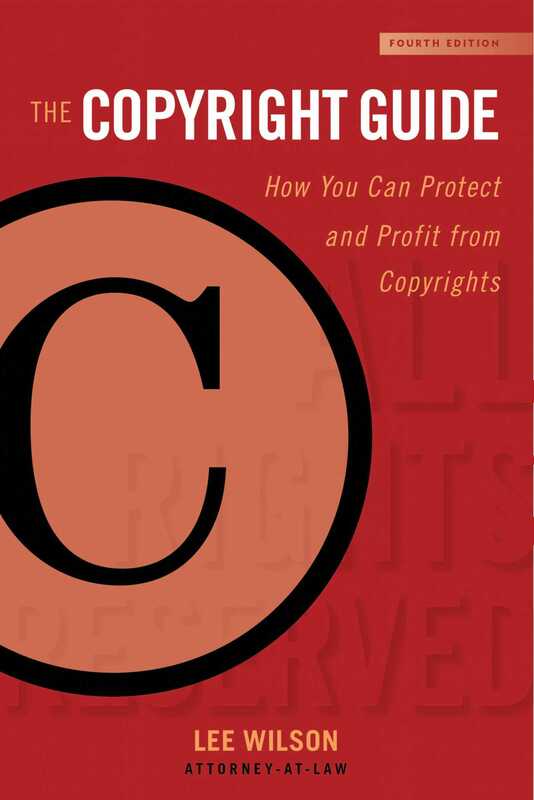 Copyright may seem like a mystery, but it is actually quite easy to understand—as Lee Wilson demonstrates in The Copyright Guide, Fourth Edition. This resource explains everything you need to know to make copyright work for you, including how to license your copyrights, how to acquire the right to use the works of others, what copyright infringement is, how to protect your works from infringement, and how to avoid infringing on the works of others. With informative tips and easy-to-use forms, The Copyright Guide will save you legal fees, make sure you avoid infringing on the works of others, and help you protect and profit from what you create. Lee Wilson is a Nashville intellectual-property lawyer and writer. In practice since 1984, she has written six books on intellectual-property law topics (some in several editions), all published by Allworth Press. Her books include The Copyright Guide: A Friendly Guide to Protecting and Profiting from Copyrights; The Trademark Guide: Friendly Guide to Protecting and Profiting from Trademarks; and Fair Use, Free Use, and Use by Permission: Using and Licensing Copyrights in All Media. She has written for the Vanderbilt Journal of Entertainment Law and Practice, has published numerous articles on intellectual-property law for Communication Arts magazine and the Publishers Marketing Association Independent, has served on the boards of numerous arts organizations, and is a frequent speaker to arts and academic groups. She lives and works in the woods north of Nashville, Tennessee.